Oh my word....I swear I really have been meaning to be better about blogging but, I have just been overwhelmed and busy, busy lately! Sorry I have been neglecting all of my blogging buddies! 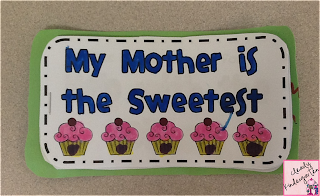 But I thought I would share the projects we made for Mother's day, just in case anyone is as big a procrastinator as I am! 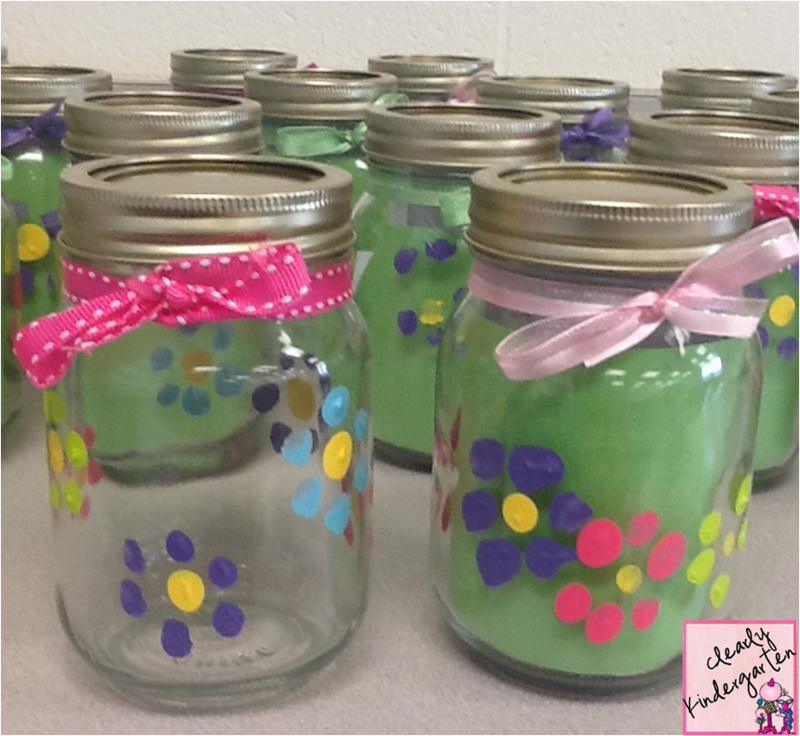 These are super easy, quick, cute, and cheap! They are pint sized mason jars from Walmart. We use the Walmart ones because they are completely plain with no printing embossed on them. Acrylic paint from Michael's. I got the Martha Stewart brand this year because it was made for glass and it washed right off the kids fingers. I also got ribbon and cut it into 18 inch sections and then tied it on the jar and put a few drops of hot glue to make sure the ribbon didn't slip off. 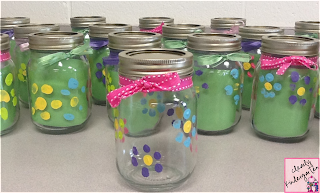 While I worked on the painting the kids were working on the coupon book that went inside the jars. I found it on TpT here. It was free and really cute! It was supposed to be a cupcake but there was no way it would fit in the jar so I just used the coupon part and stapled it to green construction paper. Of course I have also been busy getting ready for the big TpT Teacher Appreciation Sale happening today and tomorrow! My wishlist is really long and I can't wait to shop and get some great new stuff! I finished my Summer Skill Pack just in time to post it for the sale! You can click on the picture below to check it out! 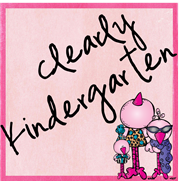 It has a journal for writing, a sight word game, a math facts game and leveled book lists to help parents find books at their child's reading level in their local library. And because I feel so bad for neglecting you I will be giving away a copy FREE to someone who comments on this post! I will pick the winner tomorrow night by random number! Feel free to Pin It as well! I'd love you forever! 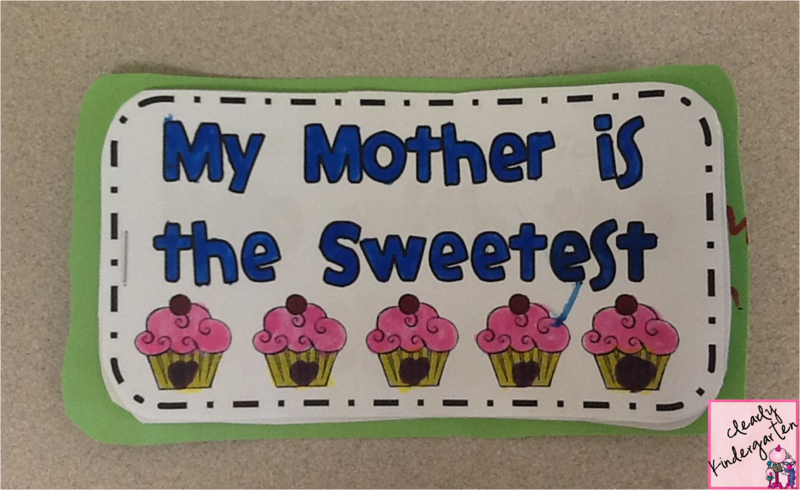 Hope everyone is having a great Teacher Appreciation Week! I had a great free dinner at Applebee's tonight with my kinder daughter! very cute idea. thanks for sharing! Why am I just now seeing this? I would have loved to have been the winner. Love your project! This is too cute! 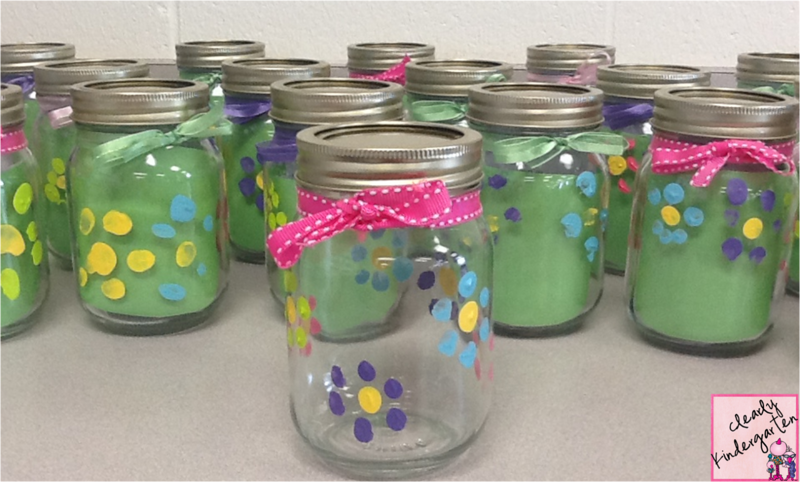 I may 'steal' this Mother's Day mason jar idea for all the special mommies when I come to planning a craft in May! I teach pre-k and feel my students will be capable of making the flowers with their fingerprints!